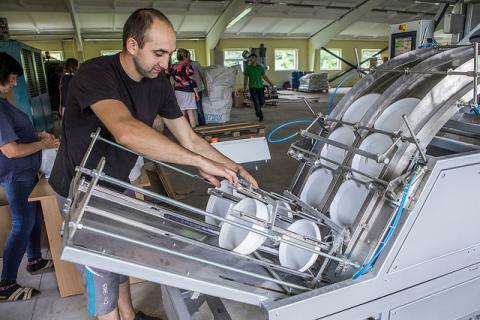 A series of workshops on zero waste production for small and medium-sized enterprises (SMEs) will be organised in Ukraine between 27 March and 24 April. A first seminar will be organised between 27 and 29 March in the west-Ukrainian city of Rivne and a second one - from 22 to 24 April in the country’s Zakarpattia region. The sessions are being supported by the European Bank for Reconstruction and Development (EBRD) in the framework of the EU4Business initiative. The workshop is being organised in the framework of the EU-funded Network of Business Support Centres, implemented in Ukraine by the EBRD, with the aim of improving the competitiveness and bankability of Ukrainian SMEs through the provision of business advice and capacity building. At least 30,000 SMEs and entrepreneurs will benefit from the project.